This is the schedule for the Study Tour Component of the Summer Program for High School Students in 2015. Click here to return to Summer Program Page. July 22nd, Wednesday: Arrival and Check in, transfer to host family accommodation. Students in the Study Component of the Program have classes as usual this day. July 23rd, Thursday: Arrival and Check in, transfer to host family accommodation. Students in the Study Component of the Program have classes as usual this day. 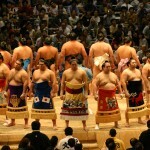 July 24th, Friday: Visit to Nagoya to attend the Nagoya Sumo Tournament. Today you will learn how to buy train tickets and experience Japan’s excellent public transport network. 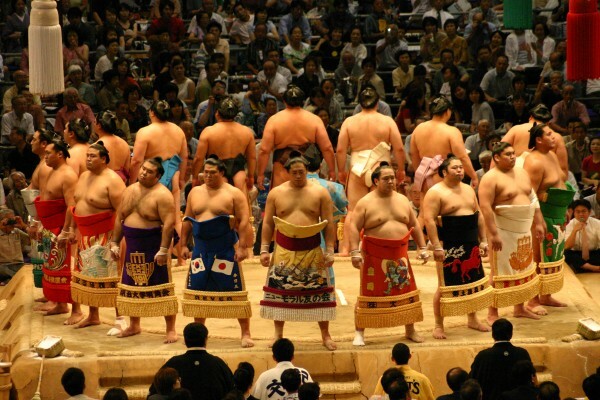 We will be taking commuter trains and subways to the site of the Nagoya Sumo Tournament, one of only 6 held annually. It gets pretty exciting, a must see. Meeting Point – JR Okazaki Station, West Side Entrance. Bring: Hat, sunscreen, sunglasses if required. Light/cotton clothing. July 25th/26th Weekend: Free weekend. Please spend this weekend with your host family. It will help you adjust to the climate (hot & humid at this time of year), and help you get to know the members of the family, and possibly extended family. This is also a good opportunity to give your host family a small gift from your home country or area of personal interest. Please bring a towel and swimwear/change of clothes, Kourankei is a nice place for a swim. Daijuji is a 15th century temple with sightlines to Okazaki Castle, and is famous for being the ancestral temple of Tokugawa Ieyasu. We then visit Matsudaira-go to the north, a difficult to get to place, but this valley is where the family of the Tokugawa Shoguns originates from. From here we will head to Asuke Castle, a classic example of a Sengoku Jidai fortification, before heading to beautiful Kourankei Gorge. This is a good place for souvenir hunting, and a popular place for young Japanese people to have a swim and escape the summer heat. Bring: A towel and swimwear/change of clothes, hat, sunscreen, sunglasses if required. Light/cotton clothing. Photo session after Kitsuke class. Usually the students can buy a yukata, and wear it to the Okazaki Fireworks Festival. 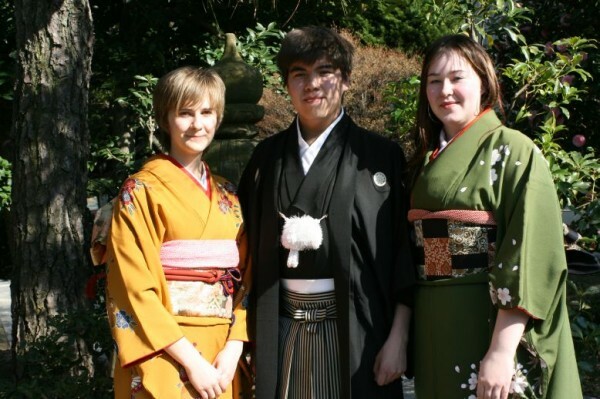 Learning to wear a kimono or yukata is a practised art. You will be professionally fitted, and also have the chance to buy a Yukata (about 7,000 yen) and Obi. July 29th, Wednesday: Kyoto: Kinkakuji, Ryoanji, Hirano Jinja, Kiyomizudera to Yasaka Jinja via Ninenzaka & Sannenzaka. Day trip to Kyoto, the capital of Japan for more than 1000 years. We will be visiting Rokuonji (popularly known as Kinkakuji due it’s gold leaf covered exterior, and very good place for souvenirs. Next is Ryoanji, with an amazing rock garden and stroll garden and Hirano Jinja. In the afternoon we will complete a walking tour from Kiyomizudera, one of the most famous and important temples of the city, before walking (downhill) to Yasaka Jinja (famous shrine of the Gion Festival) via the narrow alleyways of Ninenzaka & Sannenzaka, which are lined with many shops selling souvenirs of Kyoto. Bring: Walking shoes, hat, sunscreen, sunglasses if required. Light/cotton clothing. Hamamatsu is a city of engineering excellence (Honda Motor, Yamaha Motorcycles), it is also a city of superb craftsmanship. Kawai Piano, Roland, Yamaha and others are based here. The museum contains an amazing selection of musical instruments from around the world, with good descriptions and plenty of audio samples. We will then head to the Nakatajima Sand Dunes (a nesting area for loggerhead turtles and one of the 3 largest dune systems in Japan), before cooling off at the beach. Please bring a towel and swimwear/change of clothes if you are planning on swimming. 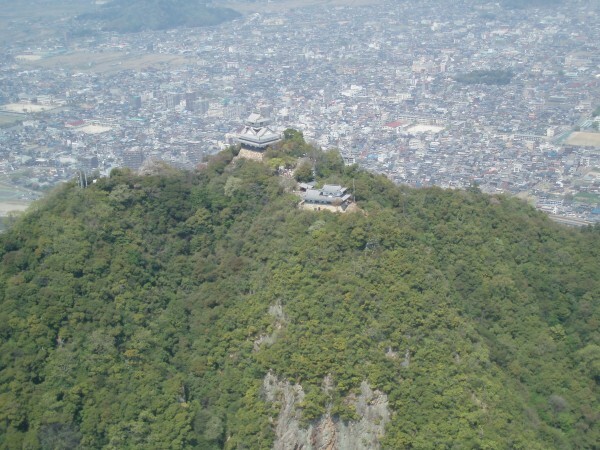 A classic mountaintop castle, Gifu Castle provides an amazing view of the city below. We will be climbing up, so wear good walking shoes. If you are unfit, unwell, or would just prefer to relax a bit, there is a ropeway (cable car) service operating that you can use for a separate fee. 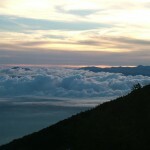 After descending from the mountain, we are going to watch the cormorant fishing which takes place after sunset. The fishermen use baskets of burning wood to attract the fish, which are caught by the highly trained cormorants. The birds cannot swallow the fish, due to metal rings placed around their necks. August 1st, Saturday: Tenonji, Ayu Fishing (catching small trout by hand) and a BBQ in the forests near Kuragari Keikoku. Please bring a towel and swimwear, you are going to get wet. 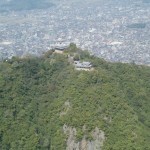 We will start with a visit to Tenonji, a remote temple built by the same shogun who constructed Kinkakuji in Kyoto, before heading into the forest for a BBQ and Ayu fishing. 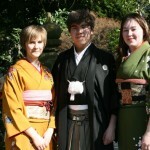 We will be inviting host families and Japanese students to come along as well. Tonight is the Okazaki Fireworks Festival, one of Japan’s largest, as this region of Japan makes most of Japan’s fireworks, known as Hanabi. Please spend this evening with your host family, as they will often have made plans with extended family. This is a good opportunity to wear a Yukata. About half a million people watch the fireworks, and many wear colorful Yukata. August 2nd, Sunday: Rest day. Please spend this day with your host family. An optional tour (separate fee) to Nara, but permission is needed prior to the program commencement. August 3rd, Monday: To Tokyo via Mount Fuji and Yokosuka. Evening in Harajuku. This is a 2 night, 3 day part of the program. Please bring an overnight bag, changes of clothing, toiletries etc, and a towel. We will head northeast to Tokyo, visiting Mount Fuji on the way. 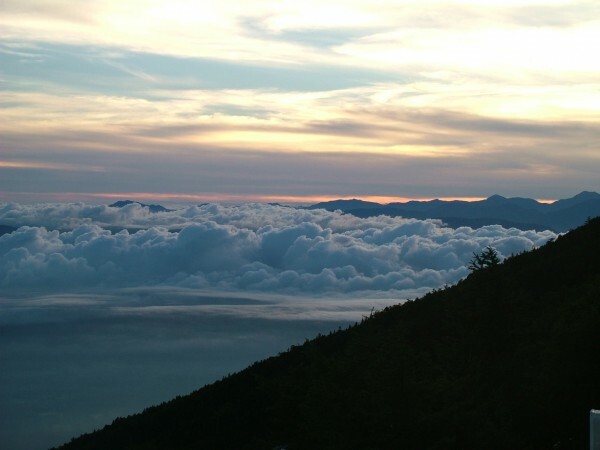 We will exceed 2600 meters (8500 feet) in altitude, so please bring one item of warm clothing. Our next destination is a museum ship, the Japanese battleship Mikasa. This pre-dreadnought warship was the flagship of the Imperial Japanese Navy during the Russo-Japanese war of 1904-05. We will then head into, check in to our accommodations, and make our way to bustling Harajuku. Harajuku and nearby Omotesando are very popular shopping districts, especially with Japanese youth. Bring: An overnight bag, change of clothing, toiletries etc, a towel, good walking shoes, hat, sunscreen, sunglasses if required. Light/cotton clothing. August 4th, Tuesday:Tokyo. Shinjuku, Imperial Palace, Ginza, Hamarikyu, River cruise, Asakusa, Akihabara. Starting at a tower platform in Shinjuku, with a view of the massive city below us, we will explore a number of key sites. The former castle of Tokugawa Ieyasu became the imperial palace after the Boshin war of 1868-69. We will walk through the east gardens, the Matsu-no-oroka (the story of the 47 ronin began here) and across to the site of the donjon. 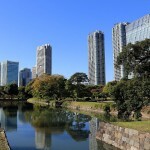 From the palace, we will head to Ginza, a high end shopping district, before making our way to the Hamarikyuu Garden. This large stroll garden was the location of the Shogun’s beach house. 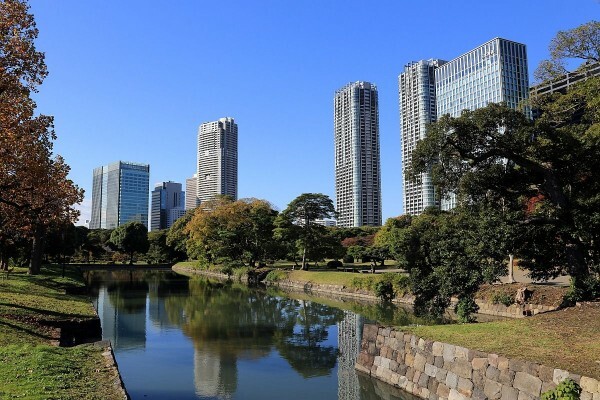 It was famous for duck hunting, and now provides a fantastic contrast between the 17th century garden with it’s teahouses and bridges, and the gleaming high rise commercial towers of neighboring Shiodome. August 5th, Wednesday: Mystery destination, then return from Tokyo via Numazu. We end the tour with a visit to a fascinating and thought provoking destination (a secret for now) before departing Tokyo on our way to Numazu in Shizuoka. Our destination in this seaside town is an imperial villa next to the beach, and was where the first three Emperors after Tokyo became the capital would come to relax. The current Emperor visited frequently as a child.